For the first time in their careers the cricket stars are playing on snow and ice! This will be celebrated vigorously on day one of the tournament (Thursday 8th February 2018). At the Ice Cricket Gala Night at the Badrutt’s Palace Hotel the cricket stars and their guests celebrate a night dedicated to the “Spirit of Cricket”. A better opportunity to celebrate together with world stars of the sports world, there is not. Your host for the evening is Karishma Kotak, TV presenter, model and actor. Bollywood glamour is also expected – let yourself be surprised. And after dinner, the party continues at the King’s Club! 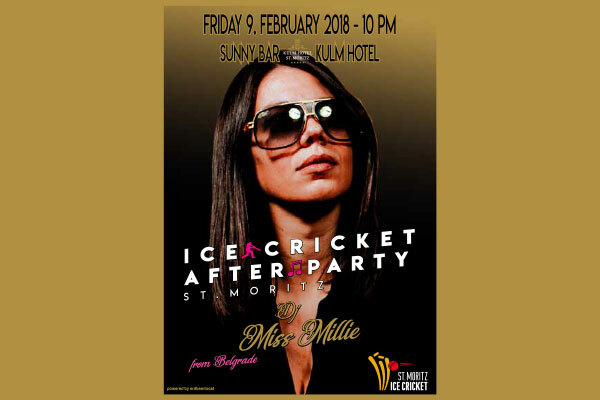 If the cricket stars have not melted the ice, then DJ Miss Millie from Belgrade will definitely will. On 9th February 2018, the “Ice Cricket After Party” will take place in the oldest sports bar in the Alps, the Sunny Bar in the Hotel Kulm. And who knows, maybe the cricket stars will celebrate their latest records “on ice” in the Sunny Bar! On the occasion of St. Moritz Ice Cricket, our silver sponsor, Teppichdoktor, with family Samadi, will exhibit and sell some of their most exclusive and rare Persian rugs. Teppichdoktor will be at your service at the Badrutt’s Palace Hotel during the 8th & 9th February event, and during the weekend of 10th & 11th February. Come and immerse yourself in the fairy-tale oriental world of Persian rugs! Photography art, exciting moments that are only to be found in India, and a wonderful atmosphere in the VIP tent on Lake St. Moritz! 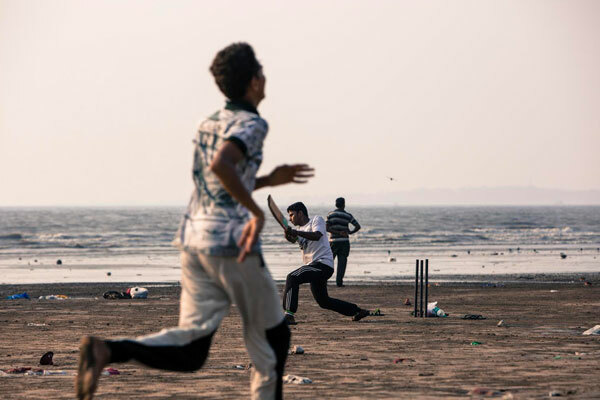 This truly unique Indian Urban Cricket collection, taken in the autumn of 2017 in Delhi and Mumbai, will be on display and on sale during St. Moritz Ice Cricket in the VIP tent! The well-known Zurich photographer has dedicated himself to a topic that could not better fit St. Moritz Ice Cricket! Two of his works will also be on display at the Ice Cricket Gala Night at Badrutt’s Palace Hotel! 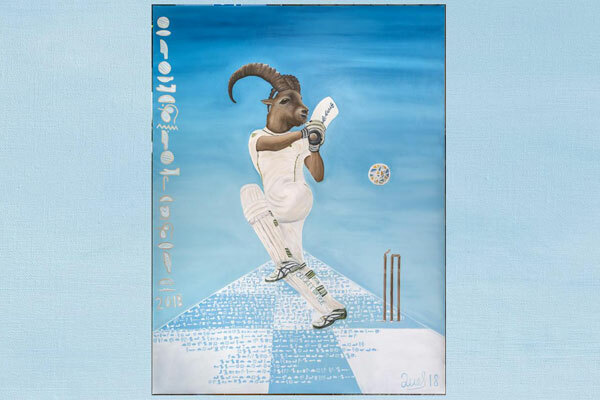 This wonderful picture was created and dedicated especially for the first edition of St. Moritz Ice Cricket by the internationally renowned artist “Juel. This picturesque marvel will be on display at the Ice Cricket Gala Night at Badrutt’s Palace Hotel. World-renowned for the art form called “Bioglyph” he painted the ‘Virgin history of St. Moritz Ice Cricket’ in ancient Egyptian hieroglyphics. About this unique creation showing the cricket players, Juel says: We Swiss are cosmopolitan and as much at home in Switzerland as in India. 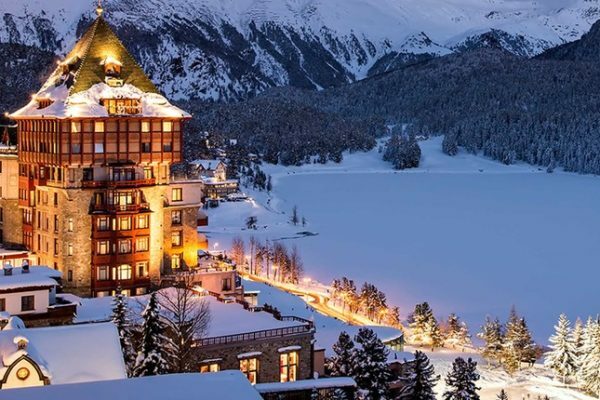 The artist will be present in St. Moritz Badrutt’s Palace Hotel during the gala dinner and available at the bar or by phone to answer your questions. The goldsmiths from Zurich show their most exclusive jewelry creations during the St. Moritz Ice Cricket in the VIP Pavilion. 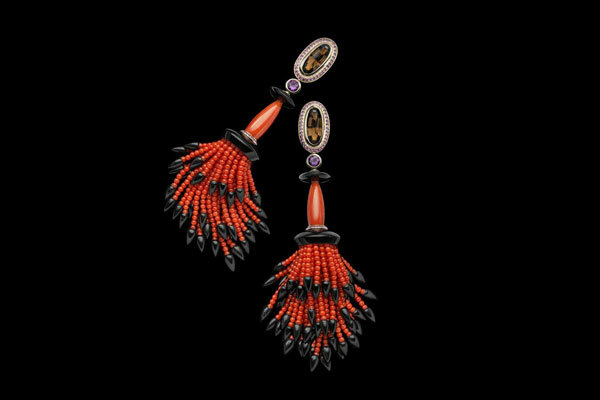 Sueños, Arlette and Kaspar Rüegg, jewelery and hand-made designs created with passion, make St. Moritz Ice Cricket sparkle!